IELTS Energy 239: Is There a Magic Number of Idioms to Get You a 7 on IELTS Speaking? Is there a magic number of idioms that you need to use to get a 7 on IELTS Speaking? One listener wrote to us and said she heard that if she uses at least four idioms on the speaking test she’ll get a 7. That is a rumor! There is no simple number of idioms that determines your score. How to get your 7! 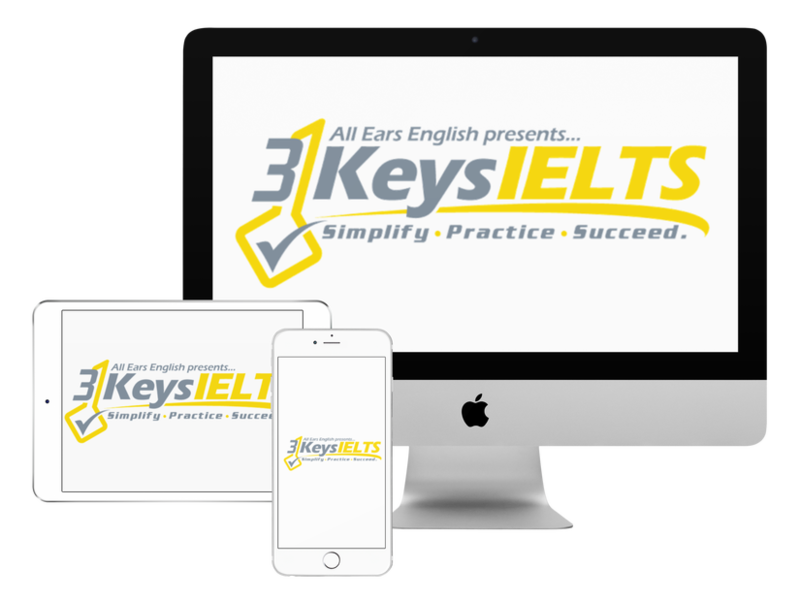 All of our strategies go back to the score descriptors for IELTS. We don’t teach you anything that is not directly related to what the examiner is looking for. Our advice is 100% linked to your score. We don’t waste your time. To get a seven you need to use a range of vocabulary in a flexible way to discuss a variety of topics. You can’t use the word “school” fifty times. You need to be flexible in your paraphrasing. You need less common AND idiomatic vocabulary. Don’t get confused! This doesn’t mean you should ONLY use a bunch of academic words. That is not a range. It needs to be a range and that includes slang, idioms, academic vocabulary. You need it all. If your teacher is giving you different information then don’t work with that teacher. You need to challenge your IELTS teacher. Ask your teacher why they are giving you the advice they are. Find out how their advice is linked to the scoring system. If it is not linked to the scoring system directly then find a new teacher! Obviously! Learn general idioms for expressing opinions or being positive or negative about ideas. If your teacher gives you a page of old idioms that she/he photocopied from a book don’t use those because they are probably “ESL idioms” and are outdated. You need a teacher that will put in the time to teach you the real things you need to know. Some phrasal verbs are too common so they won’t get you beyond a 6. Other phrasal verbs are less common so they will get you a 7. Ask your teacher if an idiom is a 6 or a 7. If he or she can’t tell you then you should find a new teacher. What stops your 7 on the Speaking test? When you sound just like every other student you won’t get that 7 for vocabulary. Stop sounding boring when you introduce your speaking part 2 answer! Check out this video (below) on how to introduce your IELTS Speaking Part 2 answer in an interesting way.